Died, Thomas Digges, English astronomer, first to expound the Copernican system in English (but with infinitely many stars at varying distances), and first to postulate the "dark night sky paradox"
J. C. Watson discovered asteroid #93 Minerva. Rudolf Julius Emanuel Clausius (2 January 1822 - 24 August 1888), was a German physicist and mathematician. Clausius was one of the founders of the science of thermodynamics. His most important paper, on the mechanical theory of heat, published in 1850, first stated the basic ideas of the second law of thermodynamics. In 1865 he introduced the concept of entropy. Thomas Edison patented his motion picture system consisting of a Kinetograph (the camera) and a Kinetoscope (the viewer). M. Wolf discovered asteroids #513 Centesima and #514 Armida. S. Arend discovered asteroid #1313 Berna. K. Reinmuth discovered asteroid #2137 Priscilla. Gregory Bruce Jarvis (24 August 1944 - 28 January 1986) was an American astronaut who died during the explosion of the Space Shuttle Challenger on mission STS 51-L, where he was serving as payload specialist. He received a B.A. in electrical engineering from the University at Buffalo (SUNY) in 1967, and a Master's in the same discipline from Northeastern University in 1969. 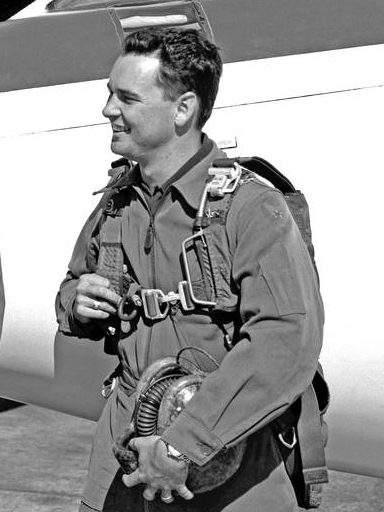 While pursuing his master's degree at Northeastern, Mr. Jarvis worked at Raytheon in Bedford, Massachusetts, where he was involved in circuit design on the SAM-D missile. In July 1969, he entered active duty in the Air Force and was assigned to the Space Division in El Segundo, California. As a Communications Payload Engineer, in the Satellite Communications Program Office, he worked on advanced tactical communications satellites. He was involved in the concept formulation, source selection, and early design phase of the FLTSATCOM communications payload. After being honorably discharged from the Air Force in 1973, with the rank of Captain, he joined Hughes Aircraft Company's Space and Communications group, where he worked as a Communications Subsystem Engineer on the MARISAT Program. In 1975, he became the MARISAT F-3 Spacecraft Test and Integration Manager. In 1976, the MARISAT F-3 was placed in geosynchronous orbit. Jarvis became a member of the Systems Applications Laboratory in 1976, and was involved in the concept definition for advanced UHF and SHF communications for the strategic forces. Joining the Advanced Program Laboratory in 1978, he began working on the concept formulation and subsequent proposal for the SYNCON IV/LEASAT Program. In 1979, he became the Power/Thermal/Harness Subsystem Engineer on the LEASAT Program. In 1981, he became the Spacecraft Bus System Engineering and in 1982, the Assistant Spacecraft System Engineering Manager. He was the Test and Integration Manager for the F-1, F-2, and F-3 spacecraft and the cradle in 1983, where he worked until the shipment of the F-1 spacecraft and cradle to Cape Kennedy for integration into the Orbiter. Both the F-1 and F-2 LEASAT spacecraft have successfully achieved their geosynchronous positions. Mr. Jarvis worked on advanced satellite designs in the Systems Application Laboratory. 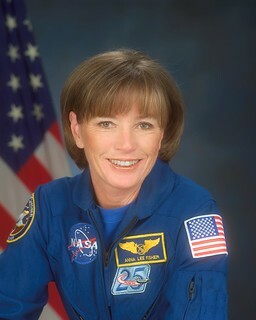 Mr. Jarvis was selected as a payload specialist candidate in July 1984. The two-stage Tiamat was the first successful launch from NACA Wallops Island, Virginia, which also featured the first successful use of a telemetry system in a rocket-propelled flight research model. The first launches from Germany's "Spaceport Cuxhaven" (a project of the German Rocket Society - DRG) took place. Cuxhaven, Germany saw its first use as the "Gateway to Space" on 24 August 1957. The DRG (German Rocket Society) 'Rocket Flight Day' started out with 7 firings of 'oilspray' rockets to ranges of 100 to 300 m. The terrible weather served to demonstrate their function of spraying light machine oil to calm waters during naval rescues admirably. This was followed by launches to 100 to 2000 m altitude of several small model rockets, and a delta-winged rocket built by Koschmieder, which reached 3000 m and was recovered by parachute. Next was a prototype 20 kg meteorological rocket using a new solid propellant developed by Deutsche Dynamit AG which produced 1500 kgf and reached Mach 1.5. The rocket rose to 4000 m but the recovery parachute deployed early and the meteorological instruments were not recovered. Finally, a test of the first of Ernst Mohr's big rockets was planned. The rocket had 50 kg of propellant, produced 5 tons thrust, and was to have reached Mach 1.5 at burnout, and an altitude of 20 km. However, the launch was cancelled due to bad weather. The US DARPA launched Explorer 5 which failed to reach orbit because the Jupiter C booster's second stage ignited in the wrong direction and collided with the first stage. USSR launched the battery powered Luna 11 probe for studies in orbit around the Moon. USSR Luna 11 was launched towards the Moon on 24 August 1966, and entered Lunar orbit on 28 August. The objectives of the mission included the study of: (1) Lunar gamma- and X-ray emissions in order to determine the Moon's chemical composition; (2) Lunar gravitational anomalies; (3) the concentration of meteorite streams near the Moon; and, (4) the intensity of hard corpuscular radiation near the Moon. A total of 137 radio transmissions and 277 orbits of the Moon were completed before the batteries failed on 1 October 1966. During the 4h 31m Skylab 3-2 EVA, astronauts Garriot and Lousma replaced the solar camera film cartridges and installed replacement gyroscopes. L. Chernykh discovered asteroid #3770. USSR Soyuz 21 returned to Earth after spending over a month and a half at the Salyut 5 space station, landing 200 km SW of Kokchetav. Volynov and Zholobov were reportedly in very bad physical and mental condition. Soyuz 21 was launched 6 July 1976 to Salyut 5 with Volynov and Zholobov aboard, and hard-docked with the station the same day after failure of the Igla system at the last stage of rendezvous. Toward the end of the two month mission, an early return to Earth was requested due to the poor condition of flight engineer Zholobov (who was suffering from space sickness and psychological problems). Soyuz 21 landed 200 km SW of Kokchetav on 24 August 1976. After landing, it was determined the crew had become emotional, had not followed their physical training, and had developed an unreasonable desire to return to Earth. The possibility also existed that there were toxic gases in the station. T. Seki discovered asteroid #3431 Nakano. USSR launched Molniya 1-62 from Plesetsk, replacing Molniya 1-54, for operation of the USSR long range telephone and telegraph communications system and transmission of USSR Central Television programs to Orbita network stations. 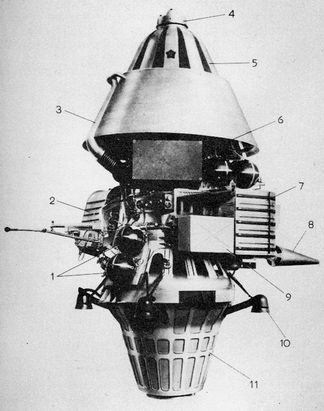 USSR launched Ekran 13 to transmit Central Television programs to a network of collective use receivers, which was positioned in geosynchronous orbit at 99 deg E.
Russia launched the Resurs F-19 landsat from Baikonur to investigate the natural resources of the Earth in the interests of various branches of the national economy; for solution of ecology problems, and for international cooperation.